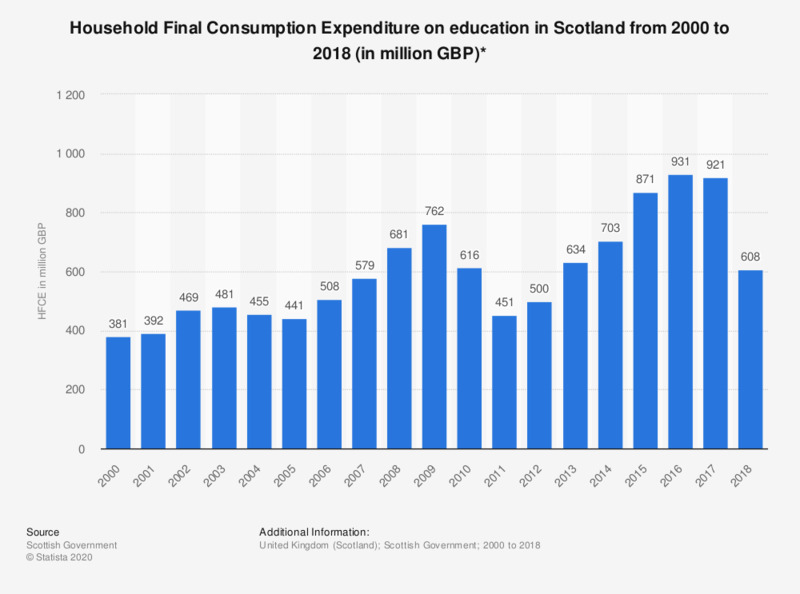 This statistic shows the household final consumption expenditure (HFCE) on education at current prices in Scotland from 2000 to 2017. It should be noted that the vast majority of education in Scotland is state-funded, and therefore does not come under the household budget. The peak was in 2016, where the HFCE on education was approximately 931 million British pounds. In 2017, the HFCE on education amounted to approximately 921 million British pounds.